I just had my account go down for invalid credit card. It's not suspended, just I have no access until I update the Credit Card info. I called the bank that I had been using Debit Card for that account (stealth) and they said that "Visa" has refused the transaction because the information given did not match. I asked what that means, and they said something I entered during the transaction didn't match the account, maybe I made a mistake in the number or address or something. That is surprising as that card has been on the account for the past year without any problems. I tried re-verifying it on amazon, account was up for 5 min and went down again. Any ideas? 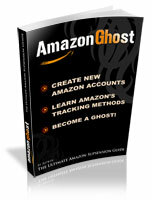 The address on the account is different than the Amazon Stealth account address, just the same zip code. I always thought that Credit Cards on Amazon Accounts don't have to have the same name or address, and amazon only needed credit card number and expiration date of a valid credit card. Have things changed? What needs to match now? Full address match? Name on account match or doesn't matter? What should I do? I don't think I can change the name on my debit card, but I can surely change address to match my Amazon Stealth account... would that be enough? Re: Amazon Stealth account down for invalid Credit Card? Send me a PM with the name of the bank issued card, could be due to the bank, as I have seen this issue pop up more frequently these days. Did you try reaching out to Amazon's support? I've seen cases where similar issues were resolved just by letting amazon know and they somehow fix that.